Welcome to our website for an EPC certificate. The best EPC certificate provider for residential and commercial property. 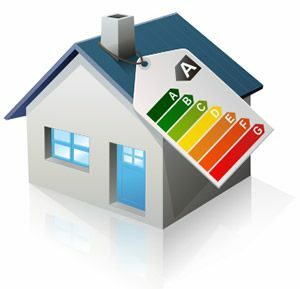 An Energy Performance Certificates (EPC) is the Government’s chosen way of complying with the Energy Performance of Building Directive (EPBD). Its purpose is to record how energy efficient a property is. The certificate will provide a rating of the energy efficiency and CO2 emissions of a building from A to G, where A is very efficient and G is very inefficient. From 21/05/2010 any property that is marketed for sale or put up for rent in England and Wales will need an EPC. UK laws state that anyone selling a residential property is required to have ordered an EPC by the time a property goes on the market. All agents are required to have uploaded a full Energy Performance Certificate within 28 days of marketing. The Assessor will record the information and will input the assessment details into the lodgement. Our current laws state that every Landlord must have an Energy Performance Certificate available for the information of any prospective tenant. On Construction or “New Build” EPC Certificate. This is a separate EPC certificate required for the completion of Building Regulations. The assessment is made from information taken from the architects plans and does not require a visit. We offer Home Owners, Landlords and Estate Agents, Government approved Energy Performance Certificates and a guarantee to complete all instructions within 48 hours. Whether you are a Homeowner, Landlord or a Commercial Property Owner, Just EPC offer a speedy and cost effective way of obtaining your EPC Certificate. Domestic / residential EPCs from £45 for 1 bedroom property. Residential EPC Certificate from £65 for 2 to 3 bedroom property. Domestic EPC (Certificate) Start From £45 only.